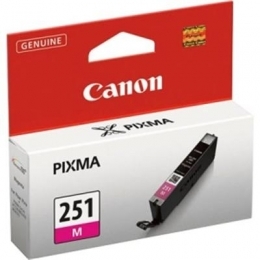 This CLI-251 XL Magenta Ink Tank delivers improved color, a wider color gamut and better color fastness. Print only with genuine Canon ink and photo paper to achieve optimum results through the ChromaLife100+ System which will deliver stunning results and longevity. Remember, a genuine Canon XL ink cartridge means high capacity, which means more ink for more prints!